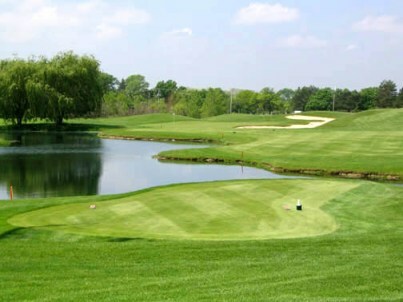 Chicago Golf Club, is a Private, 18 hole golf course located in Wheaton, Illinois. The golf course opened for play in 1894. 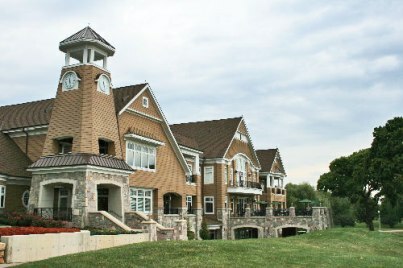 The course was designed by Charles Blair Macdonald. The course was redesigned in 1923 by Seth Raynor. 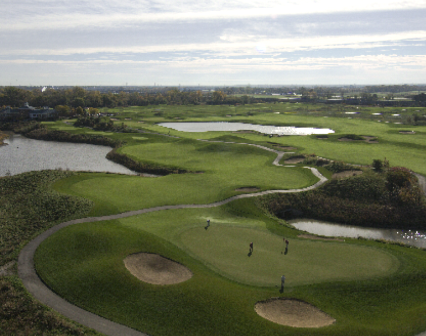 Chicago Golf Club is one of the most important golf clubs in America. It was the first 18 hole golf course in North America. The club was founded by the first US Amateur champion and father of American golf, Mr. Charles Blair Macdonald. 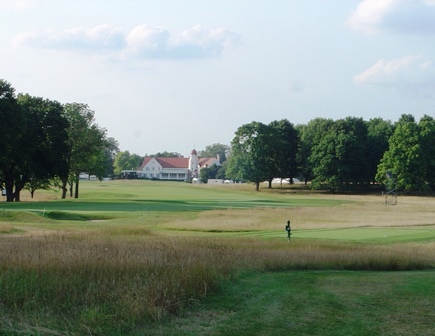 Chicago Golf Club is one of the original five clubs that founded the USGA in 1894. If youâ€™re looking for a place that has had a major impact on golf in America, you need look no farther than the Chicago Golf Club. The USGA was formed in 1894 to resolve the question of a national amateur championship. Delegates from Newport Country Club, Newport, Rhode Island, Saint Andrew's Golf Club, Yonkers, New York, The Country Club, Brookline, Massachusetts, Shinnecock Hills Golf Club, Southampton, New York and Chicago Golf Club met in New York City to form a national governing body, which would administer the championship and also the Rules of Golf for the country. On December 22, 1894, the Amateur Golf Association of the United States was officially formed, and was shortly thereafter renamed the "United States Golf Association." Theodore Havemeyer was the first president, and the U.S. Amateur trophy is named in his honor. The first U.S. Amateur was held in 1895 at the Newport Country Club, with Charles Macdonald winning the championship. The first U.S. Open was held the following day, almost as an afterthought. It was not until 1898 that the two events were held at separate clubs. Today, the USGA administers 13 separate national championships; ten of which are expressly for amateurs. Chicago Golf Club was founded in 1892 and at the time was located in Belmont, Illinois. 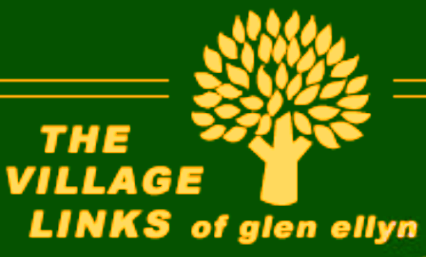 In early 1894 the club moved to the current location and C.B. 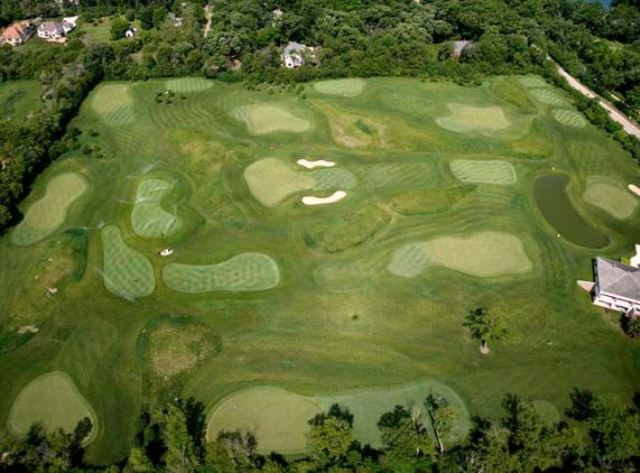 Macdonald laid out the first 18 hole golf course in the United States. By the 1920s, Macdonald felt the golf course needed redesign. He had his protegee, Seth Raynor, do the work and in 1923 a new course was born. Raynor's revisions and changes along with a handful of Macdonald's original holes is the course that remains today. Historical, beautiful, challenging, and fun. Off the tee is not what this course is about. It's the green complexes and bunkering that make the course brillant. The Black tees play to a par-70 and measure 6,846 yards. The White tees are set at 6,571 yards and share a number of tee placements with the Black tees. The Red tees play to a par-74 and measure 6,059 yards. #2 is Raynor's version of the Road Hole at St. Andrews. This one plays 481 yards from the tips and 440 yards from the white tees. #3 is a 219 yard (Black and White tees) par 3 Biarritz Hole. A Biarritz Hole has a swale just in front of the putting surface. #4 is one of the two Cape Holes at Chicago Golf Club. This one plays is a par 5 and measures 536 yards (Black and White tees). #7, is a par 3 207 yard (Black and White tees) Redan Hole. 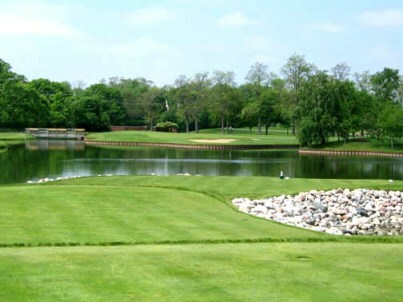 #9, is a par-4, 443 yard (Black) 403 yard (White) hole requiring a carry over water to the green. #10 a par 3 that requires a carry over the same body of water from the 9th hole. #12 is a par-4 462 yard(Black tees) Punchbowl Hole. #14 is the second Cape Hole. This one is a par 4 that measures 351 yards from both the Black and White tees.. The 425 yard par-4 finishing hole has a classic Raynor feature, a squared off green, yes, right angles. As previously stated, it's the green complexes and bunkering that make the course brillant.